Hello and welcome! Here you will find the most comprehensive collection of news leading up to the brand new, as-yet-untitled Switchfoot record, which we hear is now due to drop in August/September of 2009. So browse away. We'll be adding more stories and highlights as the year(s) go on. Jon Foreman lets the cat out of the bag: Switchfoot has begun work on their seventh studio album, the follow up to 2006's Oh! Gravity. "yes yes ya'll - the new SF record is underway"
Switchfoot announces its independence from Columbia Records/SonyBMG. Charlie Peacock is enlisted as producer for the new record. "In other news, tracking for the new SF record went really well- the most fun we've had making music in a long time. Very much like making a mess. Charlie Peacock, our longtime cohort from the east has been a welcome addition to the scene," said Jon Foreman. 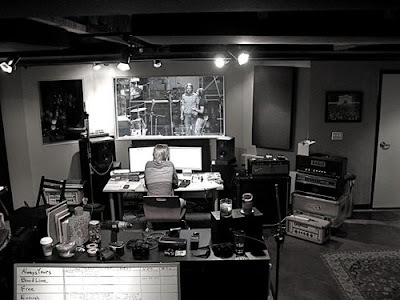 He mentions a "new switchfoot record in '08 (the first tracks 13 tracks were cut this week!)" in the label independence announcement. The band begins construction on their very own studio. "we (read: our friends back home) are demoing the space where our studio will soon be built," says Jon Foreman. Switchfoot announces the creation of their own, independent record label, Lowercase People Records. The new record will be put out on this label. "anyhoo, the new SF recahhd is coming along swimmingly as well. Jon Foreman says the album so far is heading for a more acoustic and electronic feel. 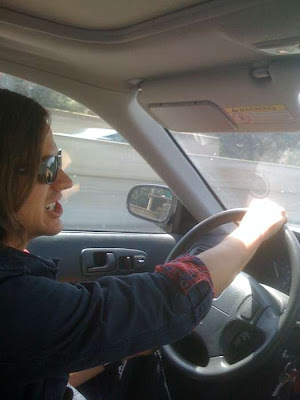 "We have over a hundred songs to choose from right now, it really could go in a lot of directions. Right now, it's shaping up to be more acoustic AND more electronic." Charlie Peacock reports that Switchfoot, along with their management team Red Light, will be working with the Dave Matthews-founded, independent record label ATO Records for the new album. LOBH & WA: We heard your interview with CMCentral back in December, and you were talking about Switchfoot working with ATO Records in some sort of fashion? Is that true, or has it been confirmed? If so, to what capacity will they be helping the guys out with the record? Charlie: Another question better answered in full by the band. For now, It's no secret that Switchfoot is working with ATO and the good people at Red Light Management. Bruce Flohr at ATO is a great music person and he will serve the band well. There's a reason both Switchfoot and Radiohead chose to partner with Bruce and his team. They are really good at what they do. Switchfoot is a smart band. They make good choices. Jon Foreman says he is writing with brother Tim. How is that new record coming along? It’s good. Tim and I have just been writing. You know, it’s one of those things where you get to a point where you kind of want to shock yourself again. The reason why you started playing music in the first place is because it’s shocking, and it felt like you were somehow defying gravity or something like that. So you kind of want to find that place again. You can’t go to the same well. That’s all dry; you got to find a new place. Tim Foreman says that Switchfoot currently has over 100 songs in demo, and are in an "experimenting" mode. It’s good. There are a lot of songs right now. Honestly, over 100 in various stages of demo and we’re going to try to narrow it down from there. We wanted to make a big mess for ourselves. We even went into the studio way back in August and tracked 15 songs and kind of just cast in a wide net to catch a lot of fish and then throw the best, tastiest ones on the record. We want to do something different. As far as what that is, that’s kind of what this stage is still about. Kind of experimenting. 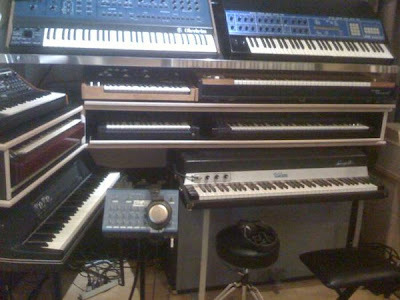 The band moves into their newly completed studio. Switchfoot begins full-time recording for the new album in earnest. Switchfoot's brand new Studio Webcam debuts. 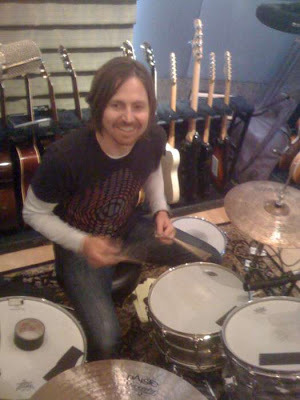 On the band's Studio Webcam chat space, Switchfoot tells us that one of the songs Chad Butler is drumming to is called "Anymore"
*The band elects to produce the album alone, after trying out Ken Andrews and Charlie Peacock, who will remain as Executive Producer. *The band reveals a new song title: "There Is Still Time"
*Jon Foreman mentions something about a "Stairway to Heaven" cover...?? Switchfoot reveals the song-list for this new album's recording sessions! -Chad Butler says he has been recording with as little of the full drum kit as possible. He's been using maracas, drum machines, and hip hop beats. -Jon Foreman has been writing some songs on the piano. -They aren't really working/focusing on a huge hit "single" at the moment, but are really focusing on the art and the album as a whole. When the time comes, "We'll figure out a song for radio." 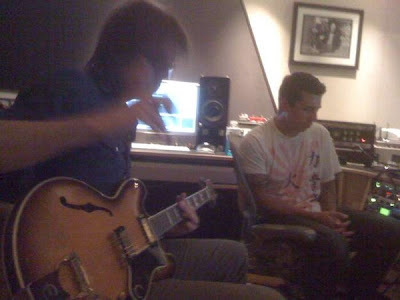 -It is revealed that Grammy Award-winning Darrell Thorp has been working with Switchfoot in the studio recently, helping out with the new record. -"We've been working on the new album in pieces in our own studio," said Foreman. "We've got three albums worth of new material, and we're still looking to piece together the common DNA. Eventually we'll get it down to the standard 12 or so songs." *About the writing for the new record: "For me, for a little while there, I was afraid of anthems. I was afraid of the big songs. Fear can be a strange thing to try and describe, but I think that the past few years, I’ve really been set free from those fears. I’ve been able to write these quirky, mellow, side project types of songs. But on the new Switchfoot record, I’m trying to write these immortal anthems." *About taking their sweet ol' time: Well, we’ve written and recorded about 60 songs that we’re just sifting through. I went out yesterday to write a song with a few friends in New York and we’ve worked with a bunch of different producers. Basically it’s on our dime and our clock and in our studio. We feel that this next record will represent the next 10 years of who we are as a band and so we want to make the best record we’ve ever made. We want to take our time and decide what are the songs that we want to sing for the rest of our lives and put them on this record. *About Darrell Thorp, and the "landscape" sound Switchfoot is going for: We enlisted Nigel Godrich’s main engineer who has worked on our favorite records - some Paul McCartney records, some Radiohead, some Air records, some of Beck’s stuff. He definitely took us to a place where I feel like this record has a much wider scope - the darks are darker and the lights are brighter and the lows are lower and the highs are higher. That was our goal was to create such a landscape. That’s where my head is at is figuring out how to make sure that horizon is in every song. *About the trickiness of a release date: We’re shooting for late spring. That’s our goal, but it’s been a little tricky. For the Fiction Family tour, we’re going out in January. Then as Switchfoot, we’re heading to South America right after that. We’re out right now as a band with Three Doors Down, so trying to fit in the recording schedule between all these tours is a little tough. [Laughs] But I think we’ll be able to squeeze it out by summertime or springtime. *More on Darell Thorp; They've begun weeding down on the songs! ; Producer is Mike Elizondo: “We’ve tracked about 75 songs in our studio and now we’re weeding down, working with engineer Daryl Thorpe who is Nigel Godrich’s right hand man for Radiohead, Air and Beck,"
He’s incredible, he’s really helped us find some new territory. Another place we’ve gone for inspiration is our producer Mike Elizondo—he’s worked with Mary J. Blige and Eminem. He’s, like, Dr. Dre’s right hand man. We’re trying to find a new playing field for the next 10 years to throw the ball around in." 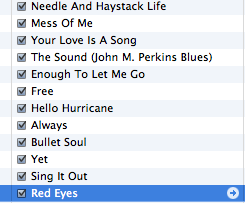 Basically, we've tracked about 70 songs, probably more than that, but we've sorta narrowed them down. And I think, with that, there are several directions we can go to. One's a lot more beat driven, one's a little bit more what one of the guys has called "punchy," which is maybe a little bit more traditional, what we've been doing. And one's a little bit broader, ethereal. Trying to kind of go to "Where the Streets Have No Name" type of thing. So yeah, its just a matter of where or what song we want to play for the next ten years, and so I think its gonna be some sort of amalgam between those three elements. In the Fiction Family tour blog, Jon says regarding the Switchfoot album, "talked about the new record a bit with the fellas, I hope to be finished with it in two months." Tim Foreman is talking July release? Tim Foreman announces that the final song lineup for the new record has been chosen on the band's new Twitter page. - "hi all, tim here. this is my first twitter, my maiden voyage if you will. we are in the studio, the final song lineup has been chosen! -tf"
- "... including one that we just wrote this morning!!! 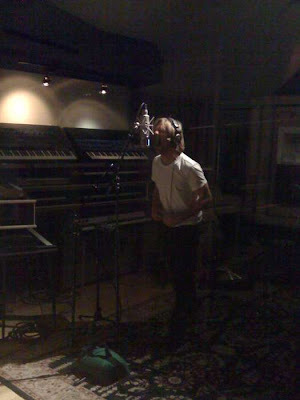 peace and love to you all, -tf"
Switchfoot rounding 3rd base and recording with engineer Ryan Peterson. Chad Butler posted a blog for the Friends of the Foot. It is here, courtesy of Land of Broken Hearts. The new Switchfoot album is ALMOST DONE! The guys posted a new video on Friends of the Foot, letting everyone know the album was *this close* to being finished. They've just got some "overdubs and a little bit of tracking" left. According to Tim, "it's coming in REAL hot." - And, speaking of those overdubs, the Switchfoot guys twittered about some gang vocals they recorded yesterday with local San Diegan surfing legend Rob Machado. Twitter update: Good day sunshine, bah da da...! Putting the final touches on songs this week, then off to la to finish 3 more and start mixing! Switchfoot heads to Los Angeles to make the "final push" and mix the album. - Coffee? Check. Steel-cut oats? Check. Now for a morning surf. Oxnard looks fun. We're mixing our first song today! http://twitpic.com/2yrdh"
- Mixing a new song today called Hello Hurricane. Feeling really great! 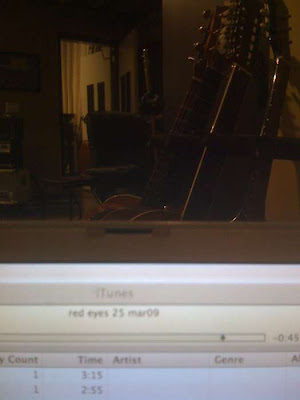 April 6th Twitter Update reports that the band officially begin final mixing on the 8th. - So twitter is the new webcam for now. Starting to mix the new record on Wednesday, almost finished! - via Twitter: "Making the familiar trek up to north LA from San Diego. 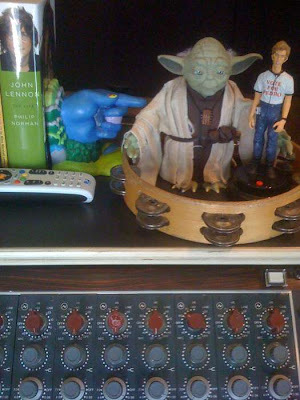 More mixing this week. Finishing up a song called "Enough" today. Sounding great!" "Mixing a new tune called "this is the sound", and contrary to the rumors of an early release, new record will coming out in aug/sept. Yup!" - Going for a morning surf in Ventura. Mixing another new tune today, song number 6! Switchfoot mixes 10th song: "Bullet Soul." Or is it "Needle and Haystack Life"...? - Mixing track 10 now, "needle and haystack life," love this one.. Just noticed we're about to pass 10k followers. Thanks for the love amigos! - So we haven't been entirely honest when we said we've been recording a new record. The truth is, we actually recorded 4 albums, 80+ songs. - We'll be releasing them one at a time, starting with the first one this aug/sept. We'll announce the album title this Friday when we finish! So... here we are april 22.
we're a few days away from the completion of new foot record. can't wait to get it out into your hands! chad is tracking drums on a song called "sing it out" could be the last thing we record for this thing. So here's what midnight feels like north of LA tonight: the smell of cloves cigarettes through the open studio lounge window, the cool night air on my face, the low pulse of the kick deep in my stomach... shaking the picture of J. Lennon on the wall. Last minute changes in the studio. - You never know when the muse might strike. Chad just had some last-minute drum inspiration, tracking now. Wow, the man is on fire! - We love making changes at the last possible moment. Is a song ever really finished? I think it's a living thing that just keeps changing. Switchfoot and Andy Barron journey to the desert in Niland, California, where they visit Salvation Mountain and the Salton Sea. Shoot lasts two days. That's Awesome. Thanks. I'm a huge fan of SF, and I've been trying to find info on the new album forever! Still can't wait to know what the name is. Switchfoot is the first band Ive ever liked and the best of its kind. I first listened to them in second grade, their album The Beautiful Letdown, my favorite album of all time, for the time being. That will probably change late spring like Jon said in the interview thingy. Also, the fact that Jon and the rest of the crew are trying to make this their best album just brightens up my life. Cant wait to get the album, Im not even going to listen to any of the songs before I buy it though, I already know it will be a masterpice. God Bless Switchfoot and whoever else is reading this. Yeah. Switchfoot was pretty much the first band I ever heard, so I kinda have a loyalty there. lol. And "The Beautiful Letdown" is my favorite album too. Thanks, This is really great. I'm really excited to hear what the new album's like. Nice, how you have this laid out and everything... I think any thing they do will be fantastic--but I think they need to head in a different direction, cover some more territory. @Jonathan, thanks for the kind words. I agree with you... they've got the rock thing down to a tee. Why not explore new territory? Looks like now they're going in that direction. SO STOKED! @Anonymous1: That's awesome! I didn't know Switchfoot got all the way down to Mexico. But we are all excited as well. I got an email from them saying they're wrapping up the album and that its ETA is late summer. iTunes has a new Switchfoot release! Weekend News: Switchfoot is No. 1 Again on Air1! Jon Foreman Summer EP Released! Switchfoot and the Bro-Am "Stand Up For Kids"